Sterling Edwards is a contemporary watermedia artist, teacher, author, and juror who is originally from Kansas City, Missouri. He has been a resident of North Carolina since 1973. As a self taught artist, Sterling has developed a unique style of painting that has gained international recognition and the respect of his peers, students, and art collectors. Most of Sterling’s paintings are interpretive statements that personify his intuitive and creative sense of design and color, ranging from abstract expressionism to traditional. He is a sought after international workshop instructor and is often selected to judge national and international art competitions. Sterling is also the designer of a signature line of multi-media paint brushes and a watercolor palette that are marketed internationally. Sterling has been featured in Watercolor Magic Magazine's “Ones to Watch”, in Watercolor Artist Magazine, and Palette Magazine. In 2007, he was awarded a signature membership in the Canadian Society of Painters in Watercolour (CSPWC), an international transparent watercolor society based in Toronto, Canada. 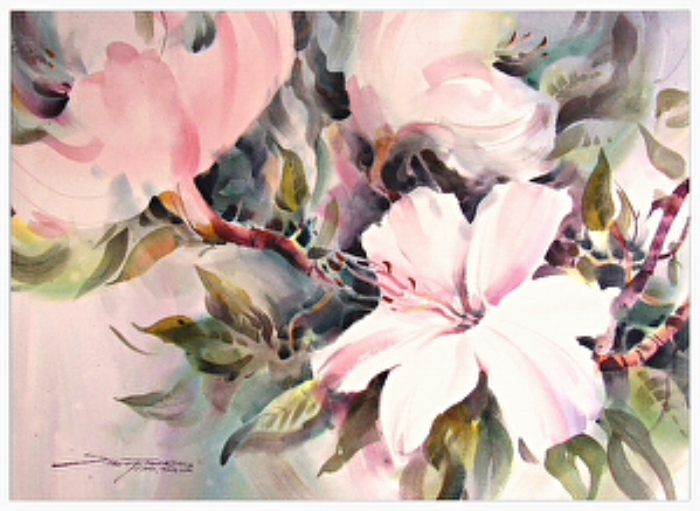 In 2010, Sterling was awarded a signature membership in the esteemed Transparent Watercolor Society of America (TWSA). He is the author of the best selling North Light book, “Creating Luminous Watercolor Landscapes, a Four Step Process”, and is a featured artist in numerous other books by various national and international publishers including; "Best of America Watermedia" by Kennedy Publishing and "Masters of Watercolor", written by Russian artist and author, Konstantin Sterkhov in 2015. In 2013, Sterling was honored with an invitation into the International Watercolor Society (IWS). In 2015 he was awarded the designation of a "Bonafide" Whiskey Painter and bestowed with a lifetime signature membership in the internationally renowned Whiskey Painters of America (WPA), the most unique and exclusive miniature painting society in the world with a membership that is strictly limited to 150 artists. In 2016, Sterling was inducted into the Marquis Who's Who in America with a biographical listing for his diverse artistic achievements, business ethics, and professionalism and in 2017 he was awarded signature membership status in the revered National Watercolor Society (NWS). Today Sterling’s book, signature line of products, artist workshops, and instructional videos are employed by thousands of artists worldwide. His award winning watermedia paintings are in numerous national and international private and corporate collections. Sterling works from his home studio in Lewisville, North Carolina. Cancellations before March 4, 2018 will be refunded minus $50 administration fee. No refunds after March 4, 2017. Exception: if we have someone on a wait list or you can provide your own replacement.